With the latest cutting edge technology, our team is able to provide professional quality video or still images of angles you've never seen before. We can also produce professionally edited video filmed in air and on ground. 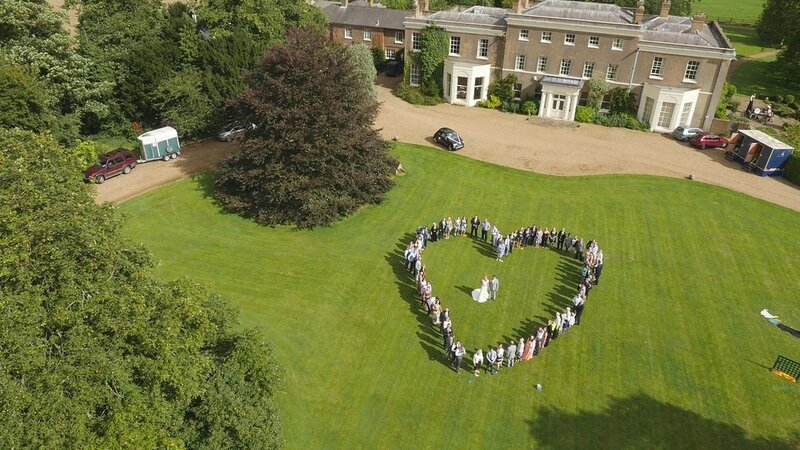 Aerial filming and photography adds a new dimension to any wedding film. The drone is able to place a camera in places simply not possible for your average photographer. It also allows us to deliver cinematic "hollywood" style production to your wedding video. We are also able to work with you to secretly capture your engagement/proposal so you can keep that memory forever. Several sporting events, mainly in the world of snow-sports, have already incorporated drone technology for filming purposes. Even coaches across major European soccer leagues are using drones to film and assess training sessions from different views. Allow us to fly over a practice session, or even game, to assess your team's strengths and weaknesses. Imagine a drone flying 50' over your sons first soccer game following the action! Add some still shots taken by our handheld cameras and GoPros and turn it into a highlight reel tape friends and family will be star struck by. We can also produce top notch High School Football highlight tapes for you to send to colleges to get recruited.